For all the flak AJ Banal has gotten for losing his last fight, he will bounce back stronger than ever. This young boxer has the most complete set of skills among the ALA fighters---offense, defense, speed, power, etc.---and he is just 19 years old. How many fighters have that. Let's not erase this kid just yet. He is that good to be ignored. He will be back. Im crossing my finger...Go AJ! Location: beauty is in the eye of the BEERHOLDER!!! "If they can make penicillin out of moldy bread, they can sure make something out of you." He isn't Bazooka for nothin'! Give him strength and conditioning coach Ariza and he will destroy Mijares, Darchi, Arce, Montiel, etc. 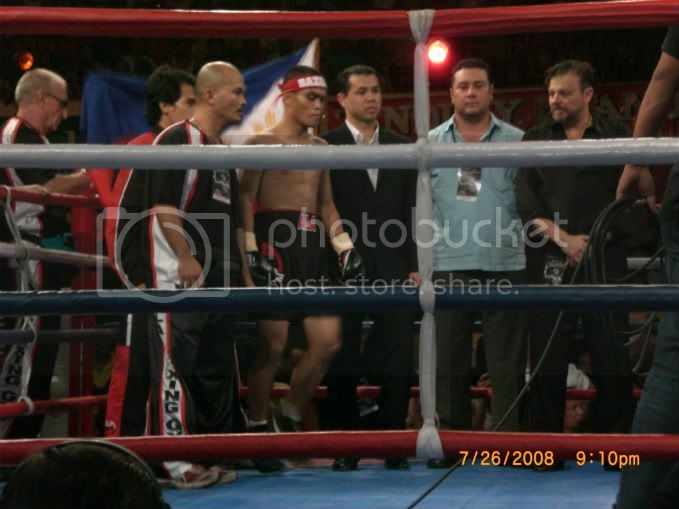 Where are those who lost confidence in AJ after his last fight with Concepcion? Anyway, I can only hope AJ will be back! This time he and his team have already learned a lot from that last fight where he lost steam. Yes I agree go AJ! it depends on his trainer.... just like randy suico..he got potential and skill..but because of his trainer and manager he dont have any progress at all...he's just fighting low class fighter.. look what happened to him when he fought j.diaz... he never won a single round and he was beaten up badly in every round..
Any news for AJ about his next fight? Its not like that bro, We wish him well on his next fight but everything depends on him actually dont blame tha trainers and whoever is involve. The thing is everybody tried their best on thier part but this is boxing things just happen. The only way to do it is to fucos on training just like how Manny does. AJ has the talent and skills of a champion and with our support the future is bright for AJ. "Oh Mercilles One, annihilate those who cross thy path"
"Manny hits you with so many punches you will think you're sorrounded"
"Dubbed Republica Enemy No. 1, Pacquiao has blitzed through the best fighters of Mexico"